In Windscape you play as a young girl living on your parents’ farm, set in a lovely world made up of floating islands in the sky. As you discover the world you learn that something has gone terribly wrong - islands are breaking apart and falling from the sky! It’s up to you to discover the evil that is threatening the universe of Windscape. As you travel the world(s) you will gather valuable resources allowing you to craft a plethora of items such as weapons, shields, potions, magical spells and much more. Some items will be just for fun while others are a necessity for your survival! 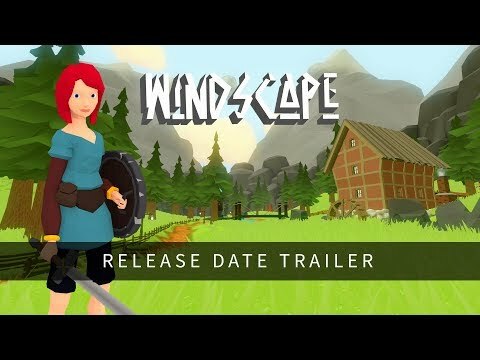 Windscape was released on PC, Switch and Xbox One 27d ago in the US and the UK. Notify me when Windscape is available.